In a highly unusual case, the Boston-based conductor Jonathan McPhee is suing Symphony NH for unfair dismissal from his post as music director. McPhee claims he was fired after raising concerns about the orchestra’s financial audit. ‘Mr McPhee noticed an inaccurate and unspecified artist expense in the amount of $10,000 was included in the financial reports,’ says his deposition. Symphony NH, which is the oldest professional orchestra in New Hampshire, denies misconduct but gives no reason for the conductor’s dismissal. 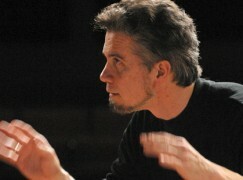 McPhee is now music director of the Lexington Symphony. Jonathan McPhee is not a person to do this without a very good reason. This is the original story. They left a lot out of this report. I myself had worked for a non profit where theft (there really is no other word for it) by a high level person happened and after I left the organization folded. I also have had at least three other friends/friendly acquaintances who worked for different non profit organizations, none of them in the arts world, where this happened. However, I have also been on the board of directors of an organization that was accused in major newspapers of misappropriation by a disgruntled former board member and belong to a synagogue which is currently in court over an accusation (noted in Wikipedia!) of a misappropriation of funds. In both cases the accusation was that funds earmarked for one program were used for another and the accusations are false. Non profit organizations are tax exempt and are allowed to receive government funds and donations that are tax exempt to the donors because they are seen as providing important services that might have to be the responsibility of government if these organizations did not exist. Non profits, perhaps because people do not have to be as well behaved because they do not always have to be worried about turning a profit, more than other organizations tend to bring out people’s true characters. Especially if people are unpaid or are contributing a lot of money there tends to be a lot of ego, feelings of entitlement, and downright arrogance involved. Because of their special responsibilities non profit organizations are supposed to have a financially disinterested board of directors, ideally representing various sectors of the community that is impacted by the organization. It is a very serious responsibility that unfortunately not enough members of boards take seriously. They assume that the professionals are taking care of it or board members are stonewalled when they try by other board members or professionals who believe that they alone should run the organization and then give up. Even in the Levine case one Met board member left when she asked questions concerning Levine as well as other fiscal issues and was angrily stonewalled. Unfortunately, in many not for profit organizations including the Met, the board member’s job may be seen as just contributing/raising funds and to just nodding or voting yes at whatever the board president/ consultant/executive director wants to do. Considering the swiftness that Levine was fired after the investigatory report was issued I wonder if the Board of Directors even read the report and voted on his dismissal or was this strictly Gelb’s decision? It’s telling that Levine’s petition was directed to the Met Opera Association and to Gelb, not to the individual members of the board of directors all of whom have board of directors’ insurance which would probably cover all or most of Levine’s claim for damages should the court uphold it. (Although I realize that the Met Opera Association is represented by the board of directors). Levine’s petition stated that his lawyer’s original request to to be reinstated went to the president of the board, not Gelb, but the board did not reply, to our knowledge. I no longer buy arguments that non profit board of directors’ meetings should not be open to the public or that minutes of board of directors meetings should not be publicly available because it inhibits discussion. A community organization should be open to community scrutiny. What have they got to hide? If a truly personal issue occasionally comes up, like discussing the financial situation of a complicated or unusual case of a particular client who is a recipient of the organization’s services, that part of the meeting can be handled separately. As far as employee salaries and benefits are concerned, that needs to be public information in a non profit organization. McPhee, therefore, if he needs the job, took a very brave stand. Forty or fifty thousand dollars may be chicken feed at the Met or La Scala but in a struggling orchestra in a predominately rural state, where the full time salary of a musician might be $35,000, if that, misappropriation of even relatively small amounts of money must be taken seriously. If Orchestra NH receives some funds from New Hampshire which is a small state (in population) and has a relatively small budget government, there is a fiscal responsibility to the state of New Hampshire, as well as to the donors and the community. Hopefully, if McPhee’s accusations are true, this court suit will not only lead to McPhee’s reinstatement but also to changes in how the organization is run. In the best case scenario it will serve as the wake up call to those who believe that they can make decisions, especially hiring,firing and programming decisions, and spend funds without having to answer to anybody. Bravo, Sharon! I admire your integrity and passionate commitment to the public good. But I have to say, I’m surprised to hear that you believe the misappropriation of funds in non-profit organizations is as extensive as you indicate. The question is, do you believe an audit by a reputable third-party accounting firm would uncover such misdeeds? Do you believe that’s a control that should be mandatory? I am intimately involved with an arts organization whose director (executive, not artistic) proclaimed success at having raised enough money to pay off the mortgage on the organization’s performance space. There was a symbolic “mortgage burning” ceremony and then the director left town for a new job running a different arts organization. Some months later, it was found that the person had “paid off” the mortgage by maxing out the organization’s line of credit with a local bank. (The line of credit was used rarely, usually during the lean months of late winter/ early spring just before subscriptions for the new season began to come in. The replacement management team found out about the maxed-out line of credit when they went to make a withdrawal to cover payroll several months after the director had left.) This all happened several years ago. It wasn’t embezzlement, and it may not even have been illegal, but. Misappropriation does not necessarily mean outright theft, although it can. For example there was a case a couple of years ago in New York City where the politically prominent executive director at a large social service organization asked an insurance company to inflate bills. The agency paid the bills and kicked back the difference between the true insurance premium and what was paid, to the executive director who then used the money to contribute to political campaigns of politicians in the hope that they would vote for government budgets which would help the organization. They ended up getting a lot of government money. It is of course illegal for non profit organizations to contribute directly to political campaigns. Another example, years ago US congressional investigations uncovered that government monies given to non profit anti poverty groups to train and monitor home attendants (carers for elderly and disabled) were used for other purposes that the agencies considered more important such as opening a McDonalds to employ local youth or a van for transporting neighborhood elderly. My point is that there very frequently is a lack of transparency and collegial decision making in non profits and that can very easily lead to things like corruption, misappropriation, misuse of bank loans (see below) etc. Non profits, especially if they are relatively small, too frequently become personal fiefdoms and there are many non profit agencies (I know personally of two) that have only three person boards of friends and relatives because the founder does not want opposition and/or a lot of oversight. I believe that part of the problem is that non profits are frequently started and run by dynamic people who went through a lot of obstacles to start the organization and raise funds. These people have big egos, resent having to answer to people, and feel entitled because they did so much, frequently unpaid, work. This is compounded by the fact that because it is for a good cause they frequently believe that they are justified in not following the rules or obtaining the consent of others. As far as the case of the mortgage supposedly being paid off by the executive director when all he/she did was pay it off with another loan is concerned…This snake probably wanted to show that he/she could raise money and/or cut costs to pay for new projects in order to pad the accomplishments on his/her resume to get the new job. It was unimportant to him/her that the loan he/she took to pay off the mortgage undoubtedly had a higher interest rate than the original mortgage. It might also be more difficult to fund raise if donors, especially large donors, believe that the debt was paid off. I hope that the organization he/she went to found out about this lying and fraud (because that was what it was). I wish that there was some way that the old organization could sue him/her for fraud and the difference between the old and new interest rates, as well as other damages. Crap like this happens because people are afraid to scrutinize the “professionals”. This would not have happened if the executive director had to answer to a treasurer and a board of directors when he/she took out a loan. Actually this type of thing can happen in the government sector as well. A former director of the state psychiatric hospital I work for laid off people when the directors of all other similar state hospitals were fighting like hell to find the funds to retain staff and higher new staff. Even though this was civil service she was able to eliminate positions. She once shockingly said at an open staff meeting “There’s nothing wrong with recidivism, (which is caused,in part, by a lack good social work after discharge which was supposed to be provided by our hospital) It keeps us in business”. I believe that she was interested in putting on her resume that she was a cost cutter. Eventually she was called on this as well as other complaints and lost her job. Wouldn’t it be great if some other, future, hopefully not corrupt, Congress would overhaul non-profit law to insure that these orgs are run honestly? Although I have been a member of several orchestras and festivals, even started one that is still very successful after decades, served on Boards of Directors, Orchestra Committees, Artistic Advisory Committees, etc., I have found it usually impossible to persuade any of my non-profit-involved colleagues to actually insist upon seeing concrete financial transactions evidence, such as bank statements and checks. My own small festival board was ferociously watchful, which I thought was a pain (interrupting my honeymoon? Calling me the night before very challenging performances? Nut cases, I thought). But even without particularly trying, Ive heard about hundreds of thousands being embezzled at four different non-profits in the NE US in the last 20 years. “Creative” types just want to play, not count recieipts. Three out of four of these were never publicized, to “protect” future donor -willingness. We’re sittiing ducks for swindles, unless transparency is demanded! Nobody paid attention during “The Music Man”? I agree with Sharon. If nobody is checking, someone will surely skimm more than a few bucks off a habitually “unprofitable” organization’s often unbalanced budgets. Looking too closely at the brain-numbingly discontinuous grant deadlines, sponsor reimbursements, operating debts, performance fees, contributions promised but not paid, makes a curious employee look and feel ungrateful, not to mention contributing to donors unenthusiasm. In today’s technologically convenient environment, none of it should be so hard to transform into readable figures and plain English. Maybe this will become the industry norm, someday? A good unpaid board treasurer, who should be on the executive board and involved in every financial decision, should be able to prepare an easily understandable report to the board and explain it to other board members. Ideally the treasurer on the board should be someone with a solid accounting background who can work closely with the paid accounting/bookeeping staff, not just a title.